Changes have been made to Irish oral examinations in the four state-funded postgraduate primary school teaching courses in Ireland. Minister for Education and Skills, Joe McHugh announced on November 13th, 2018 that the previous three Irish oral examinations required for entry into post-graduate primary school teaching programmes will be reduced down to one. The changes will be implemented from February 2019 onwards and will be regulated by the Centre for Irish Language Research, Teaching and Testing in NUI Maynooth. The current higher education institutions that require oral Irish examinations to gain entry into the programmes include DCU, NUIM, Marino Institute of Education and Mary Immaculate College. Previously when students acquired the minimum entry requirements for the post-grad programmes they then had to complete three Irish oral examinations on the same day as an interview for their chosen institution. The day consisted of considerable stress for students with a fail in the oral examinations resulting in the possibility of their interview being discounted. The new system will see prospective postgraduate students take the examination at the Centre for Irish Language Research, Teaching and Testing in NUIM and upon news of success, they will then apply to their chosen institution. According to the Executive Dean at DCU’s Institute of Education, Anne Looney, with the new changes, “students who don’t pass [the oral examination] won’t be interviewed.. saving students time and money”. “Previously they were interviewed before they knew their oral exam result,” she continued. Minister of State for Higher Education, Mary Mitchell O’Connor welcomed the changes. “This is a positive development for students. I welcome the collaboration and coordination by the higher education institutions for this new oral exam which will reduce stress for students,” she said. “Students attending for the interview should have a better experience all round. However, this is a course where there is a high demand for places. For the DCU programme, there are 10 applicants for every place available,” said Looney. The high demand for these programmes insinuates that levels of excellence and proficiency in the Irish language will still be required by students in order to progress, despite the changes to the system. Those applying for these post-grad courses will have to pay a €65 fee towards the Irish oral examination, but those applying through the PATH programme will be refunded these costs. “[I’m] glad to see the commitment from institutions to refund the oral exam fee for students on a PATH programme,” said DCUSU VP for Education and Placement, Craig McHugh. “Alongside that, I believe that one standardised Irish oral will do a lot to help reduce anxiety and pressure and help prospective students give their best,” he continued. The certificate granted to students who are successful in their oral examination is valid for two years and is useful for the applications to other jobs. 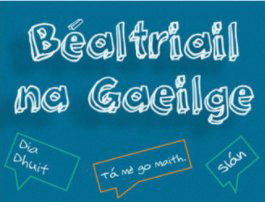 The oral examinations are administered using the Teastas Eorpach Gaeilge (TEG) test, linked to the Common European Framework of References for Languages which sets the guidelines to describe achievements of learners of foreign languages across Europe and, increasingly, in other countries.